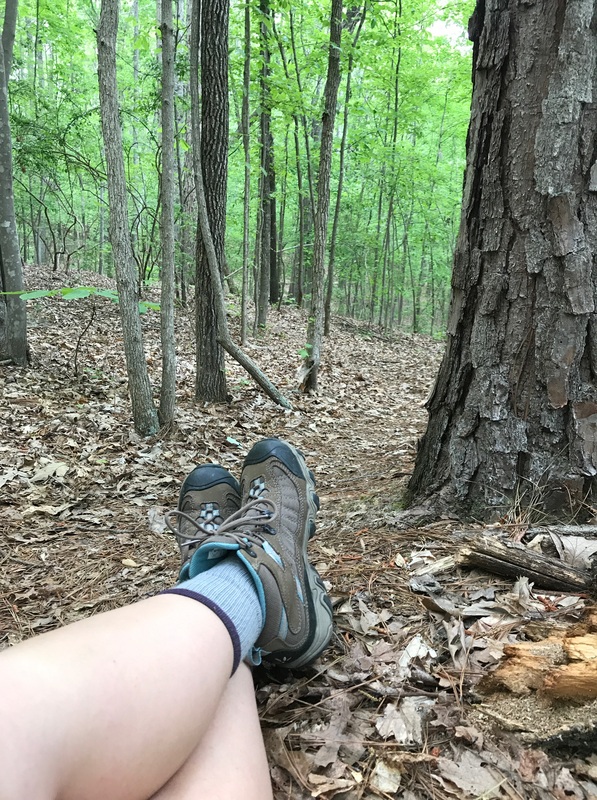 After my first backpacking trip last fall I knew I entered a long term relationship with hiking. The summer months are heating things up and I am happy to get back out there on the trails. Several trips later, I am head over heels in love. 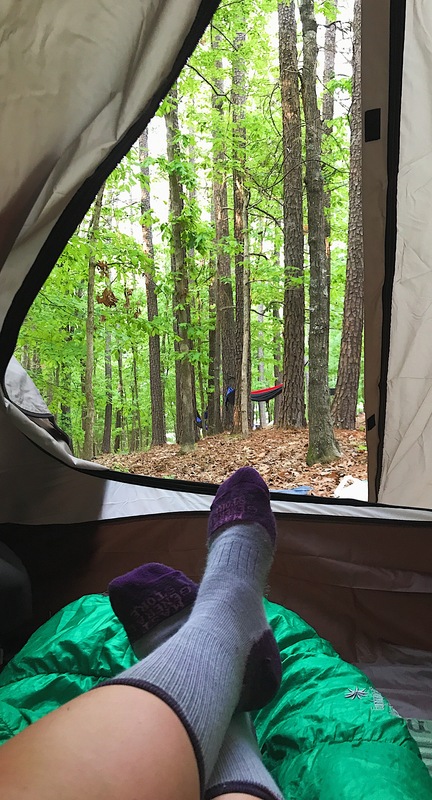 The long hours, blisters on my toes, and bug bites suddenly sounded appealing. Hiking has become one of my favorite ways push myself physically and mentally. It is not east hiking ten miles in a day. I have no idea how people do more (though I am curious to find out). 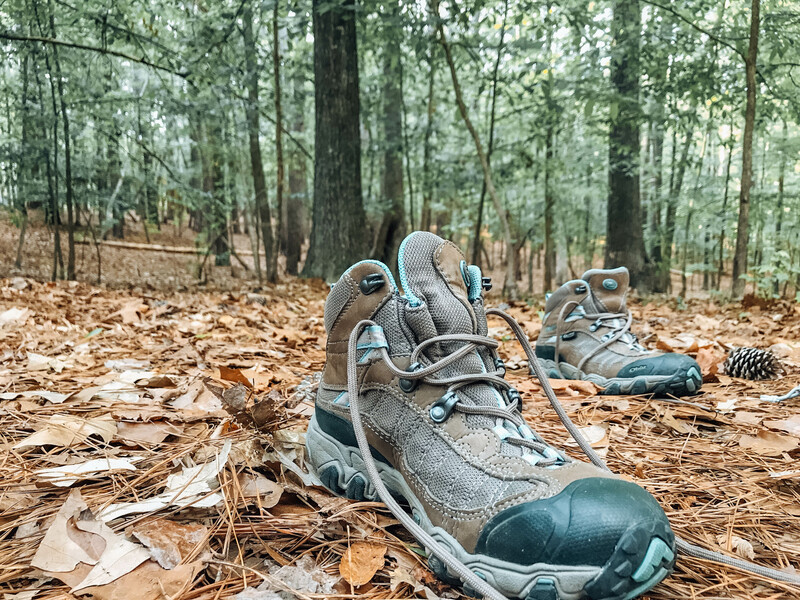 My advice to you in the first stages to getting into hiking is to buy a great pair of hiking boots. That is exactly what I did and I couldn’t have made it without them. The first backpacking trip I ever went on I wore my Nike tennis shoes. By the time I got back no one could be sure what brand they were or really if they were shoes at all. They looked crumbled piles of fabric that may at one time been a pair of shoes. Needless to say, I decided that I wanted to invest in a good pair of hiking boots. The problem with coming into adventurous activities late in the game is that I always find myself dropping loads of money on the gear I need. I didn’t start going on wilderness trips until I was a junior in college. Yes, I was a Girl Scout. I even got my Gold Award, but we never did trips with the intensity like I do now. I LOVE IT! I needed some sturdy shoes that would last me a while. I went to several stores first, but I know I made the right decisions with my Oboz that I found at the Mast General Store near Blowing Rock, NC. Go to a store that has employees who can customize your shoe based off of your specific needs. I had a different brand pulled out and tried several pairs on myself, just looking around. When a store worker say me, she asked if she could measure my feet. Based off of the shape of my feet and how intense of a hike I planned to do she pulled a couple pairs to choose from. This helped narrow my search! Selecting a pair where your toes do not move when you are going up or down a hill will be essential in the comfort of your tosies. At this particular store they had a step incline where you could practice walking up and down to see where your foot moved. If your toes slid a lot, you probably need a different shoe. Every hiking trip I have been on has included inclines. Half the beauty of hiking is going uphill. Choose one that supports your ankle. 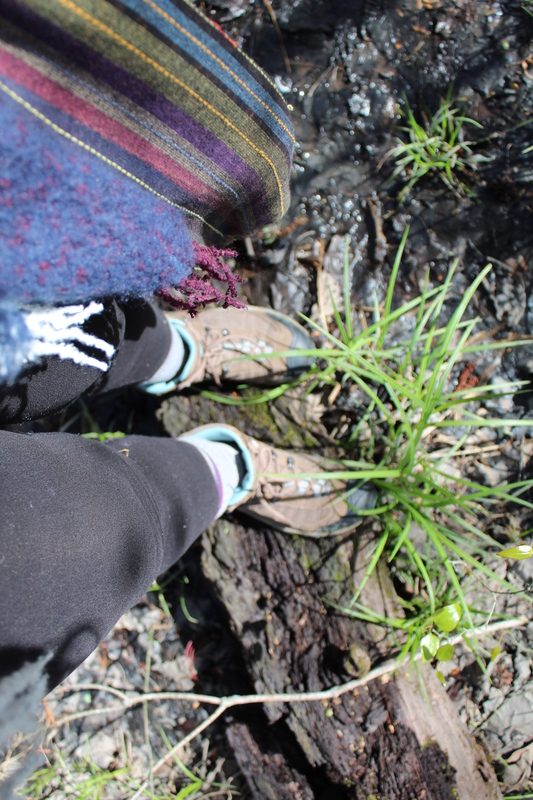 It is really easy to twist your ankle while hiking, especially when backpacking. I swear, the backpack I had felt so heavy I thought I could tip over and break my ankle simply standing in place. I wore these bad boys for almost a month before I went on a hiking trip with them. Be sure to have adequate time to break them in. Some people I went with bought hiking boots the week of the trip without breaking them in. You may think they feel okay, but eight miles in you may change your mind. If you are not going to break them in you might as well just stick with the tennis shoes you have already been wearing. They would be more accustomed to your feet anyhow. I sincerely hope this helps you along your journey to the mountaineering, pro hiking, and backpacking kind of person you will become.